(2010) My friend and I visited Tower Hill Botanic Gardens in Boylston, MA a few summers ago for some plein air painting. I was taking lots of photos to capture the beauty all around. 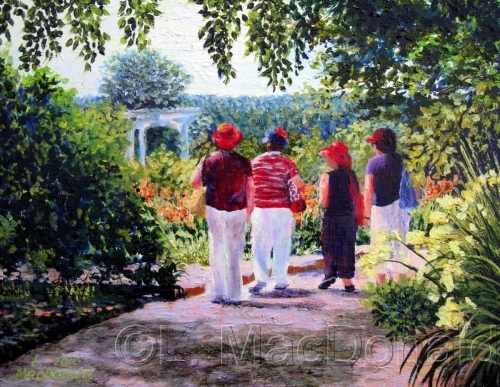 These four "Red Hat" ladies were simply irresistible as they walked along the path. I loved the bright colors and this was a fun painting I started in the heat of the Summer day and later completed in my studio.